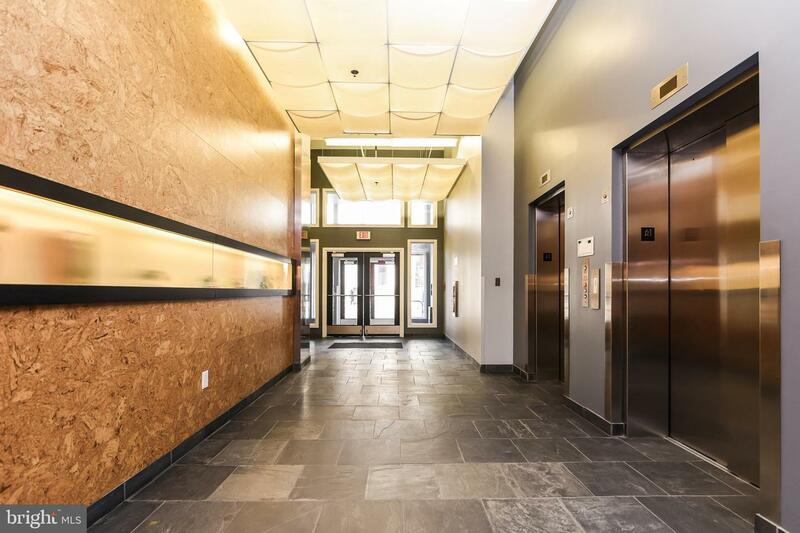 Updated stylish condominium in the heart of the City. 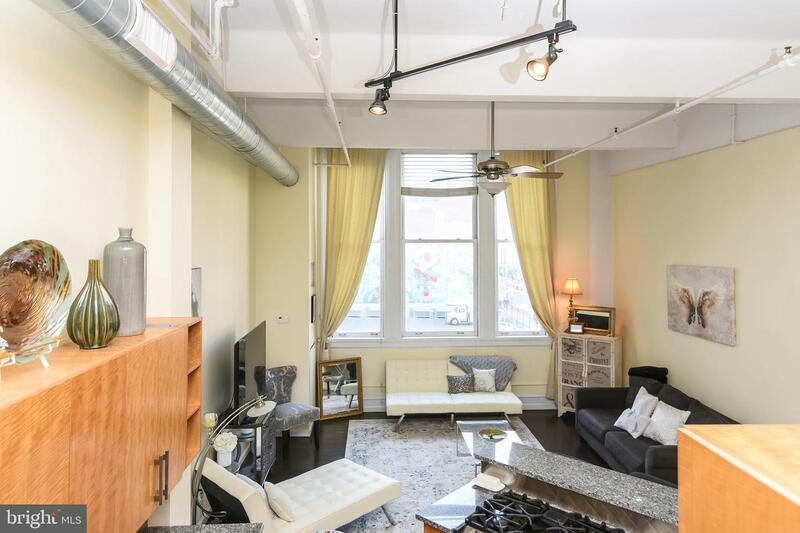 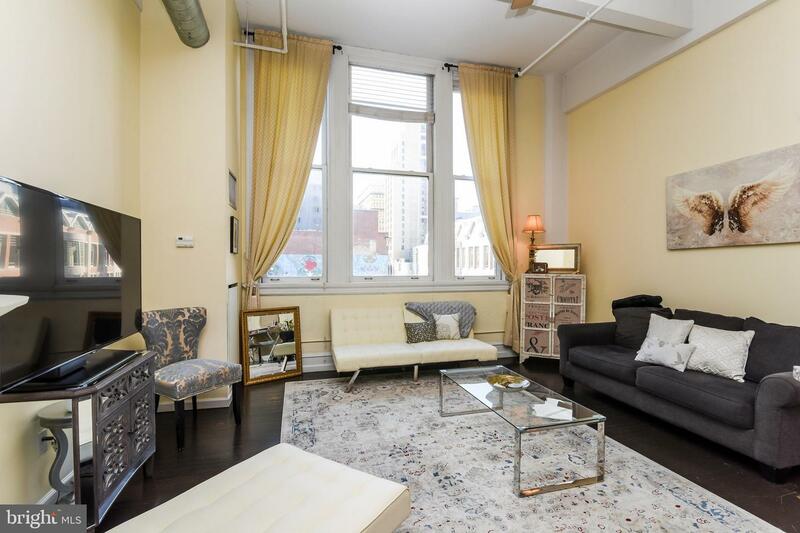 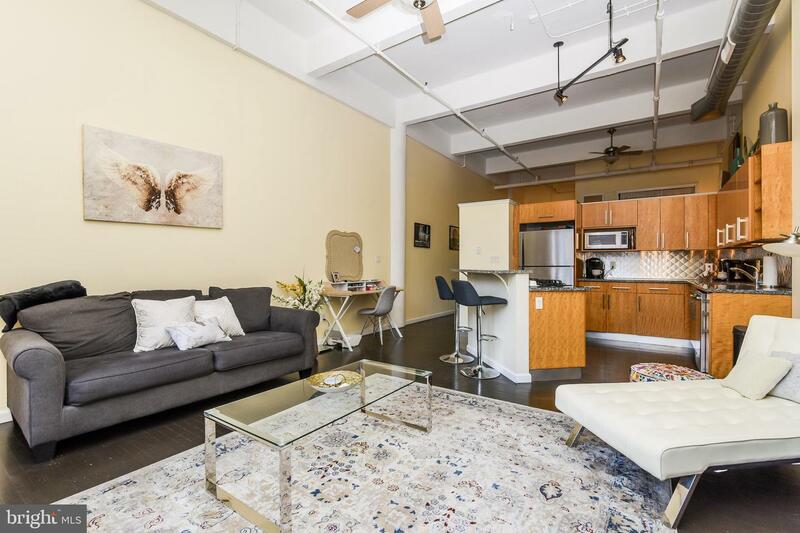 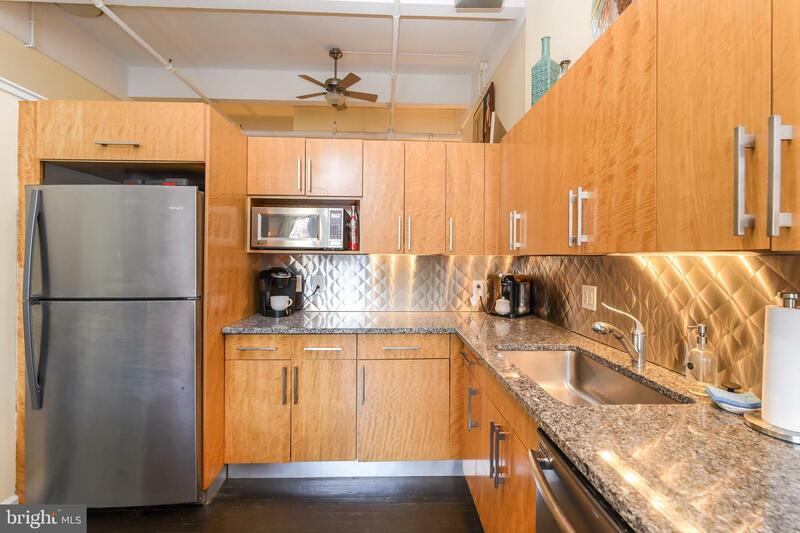 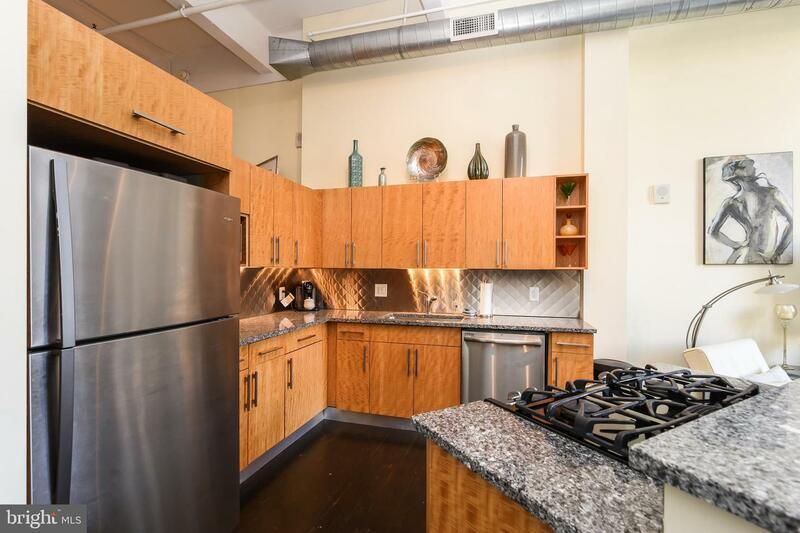 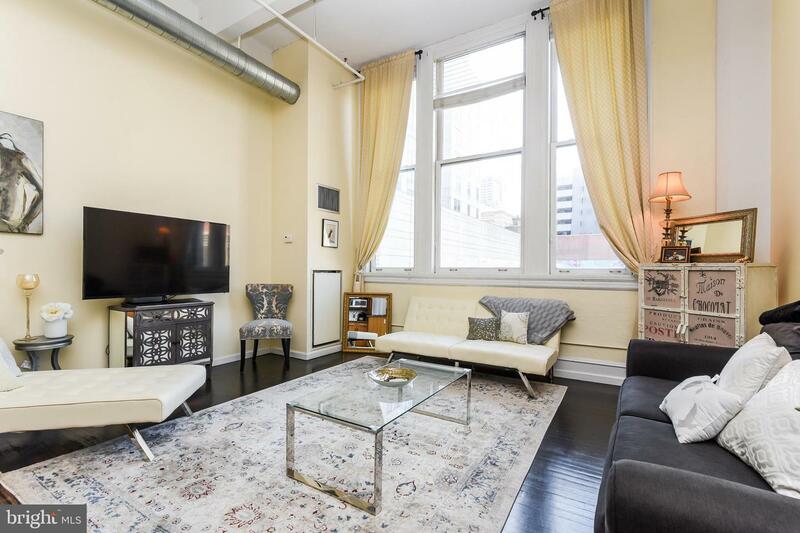 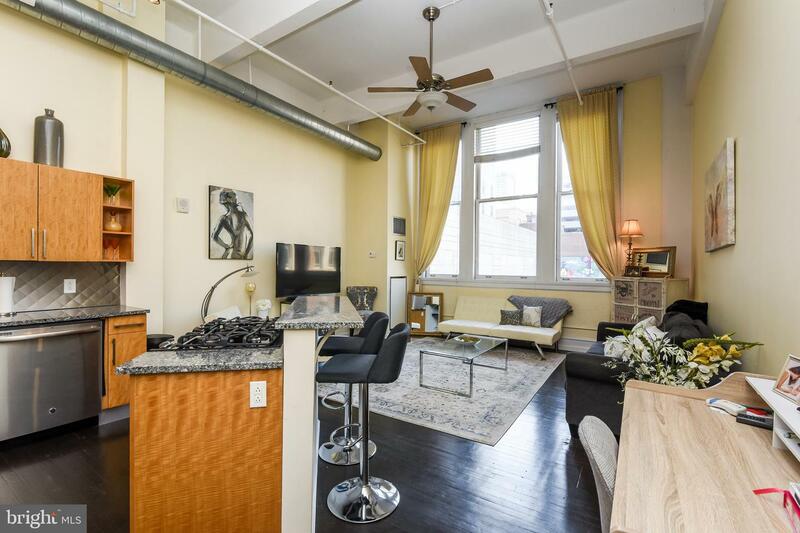 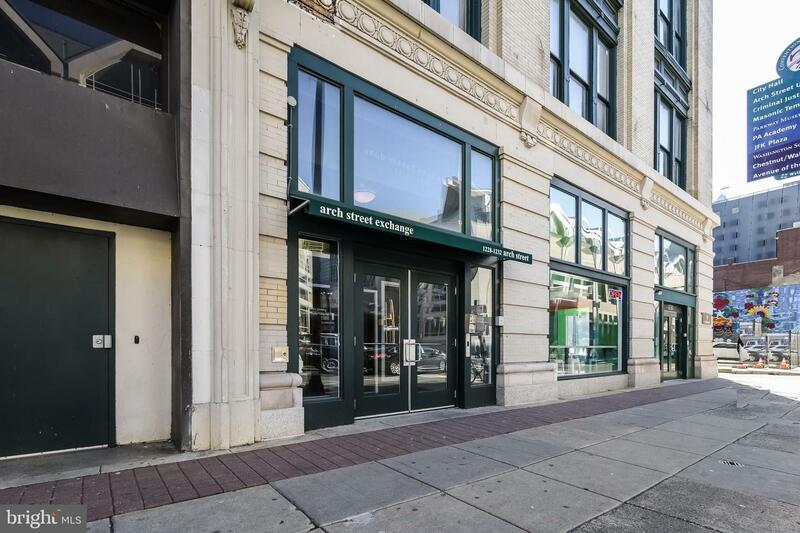 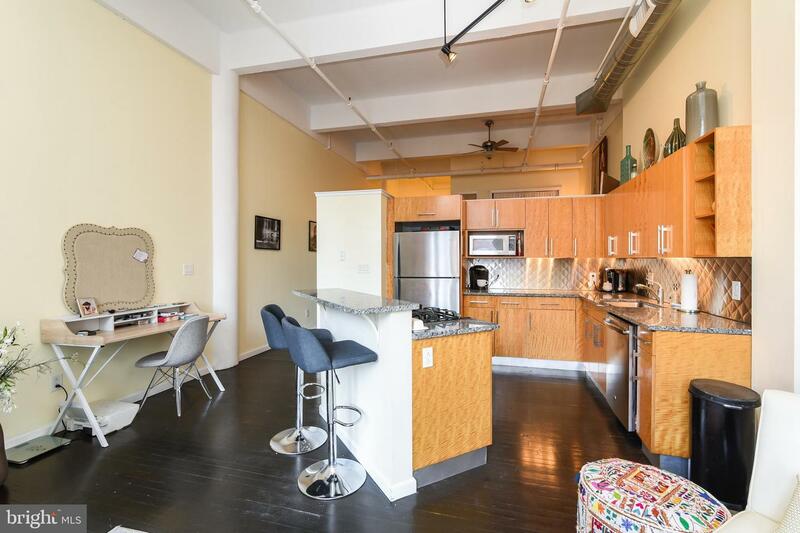 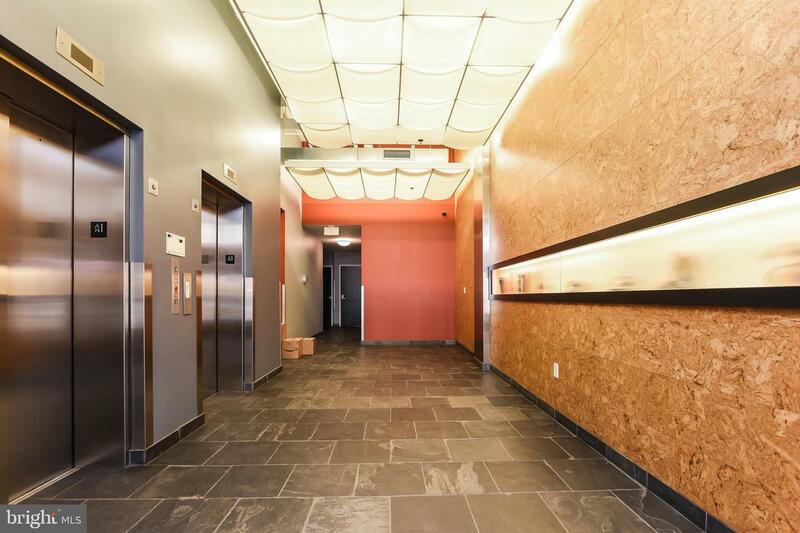 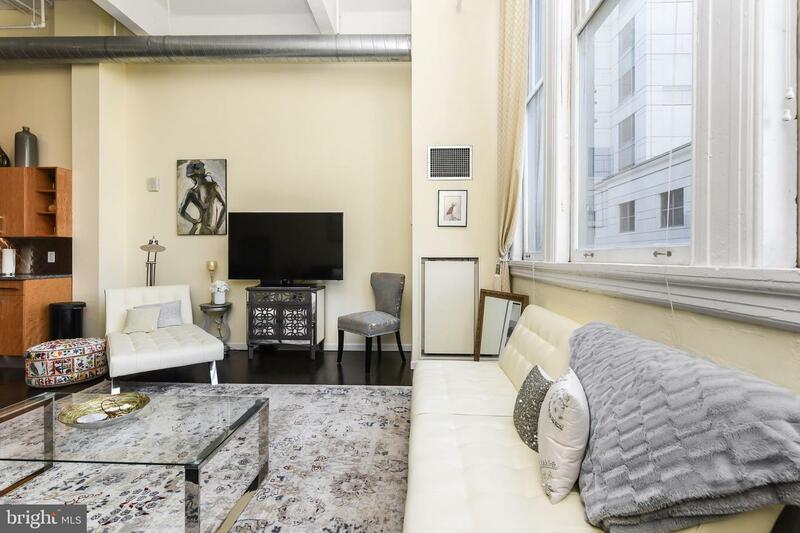 This large one bedroom apartment features 15-foot ceilings and huge windows facing West. 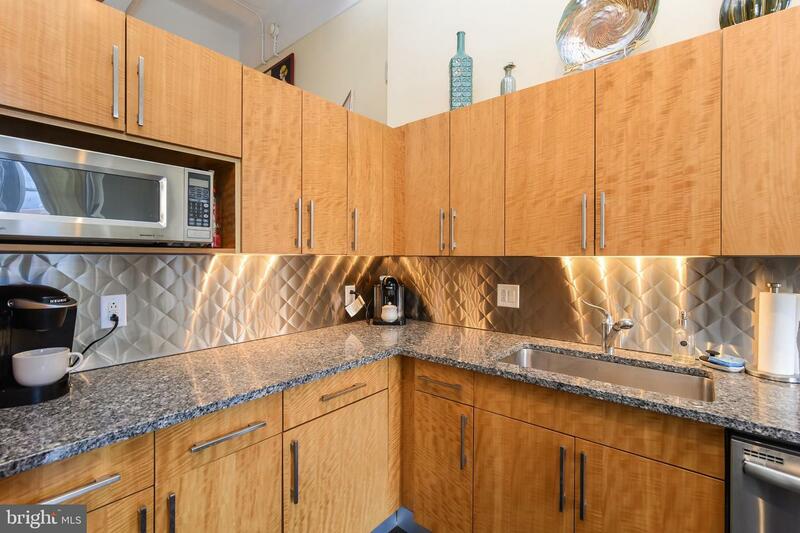 You'll find a spacious kitchen with abundant cabinets, granite countertops, beautiful stainless steel backsplash and a terrific island with gas range. 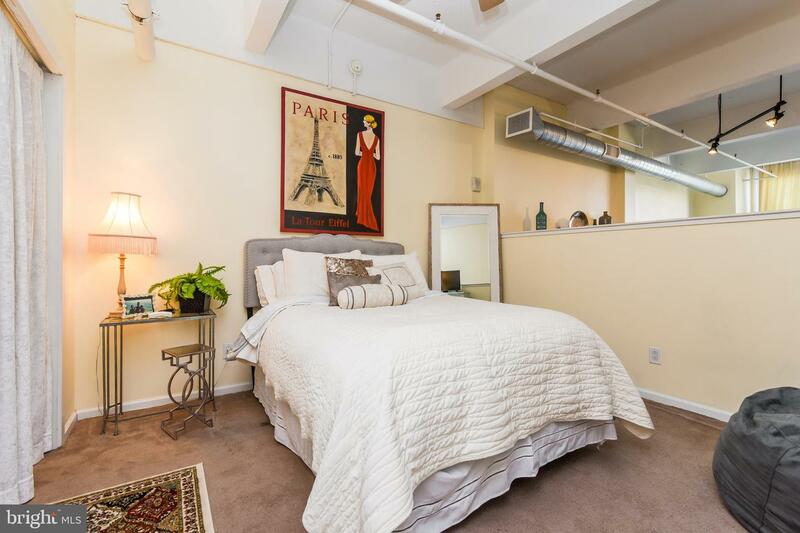 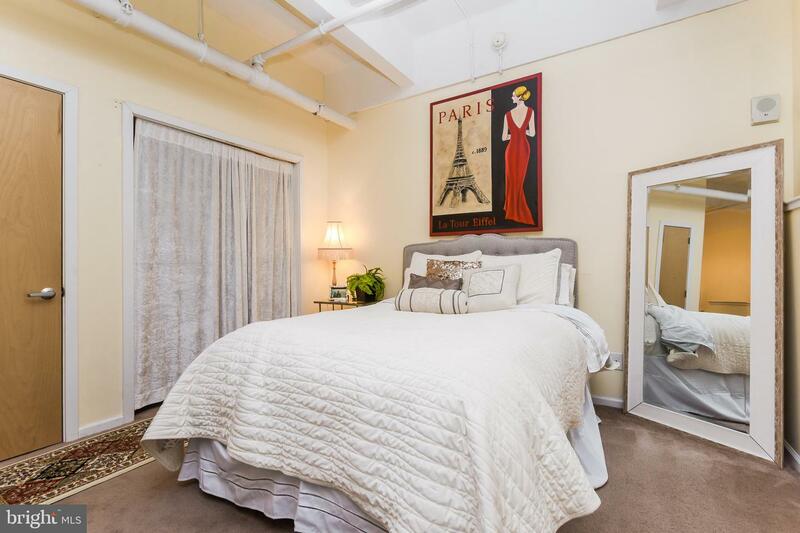 The huge loft-style bedroom overlooks the living space and offers a spacious wardrobe closet. 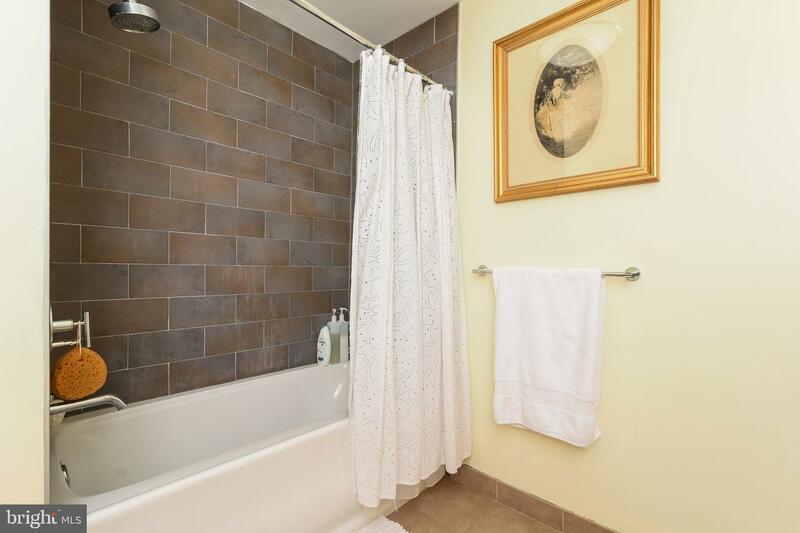 You'll find a large bathroom and a laundry closet on the main level, with a brand new Washer/Dryer. 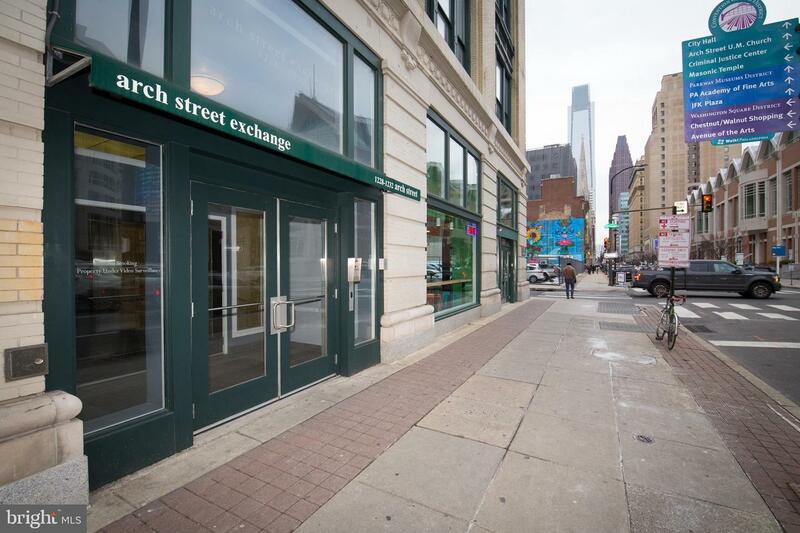 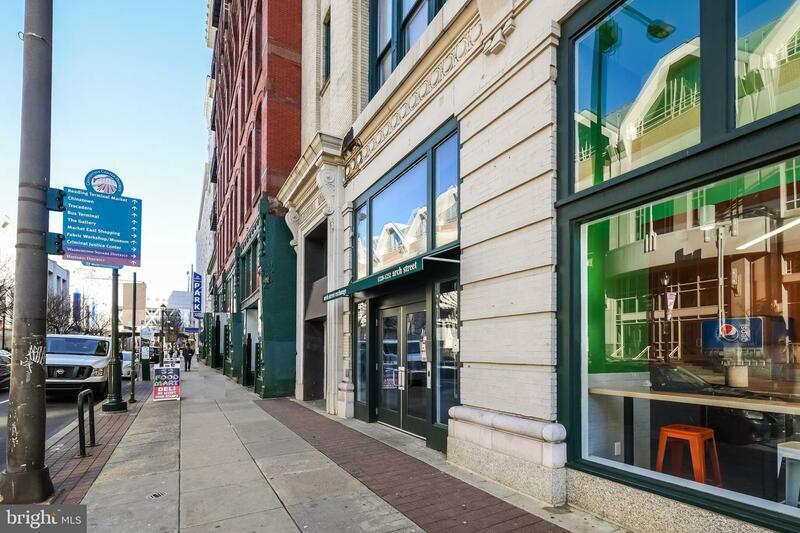 This home is conveniently located just one block from the Reading Terminal Market and across the street from the Pennsylvania Convention Center. 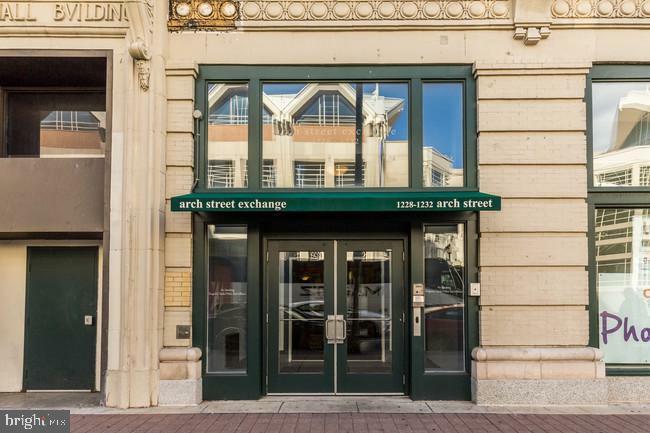 Walking distance to area Universities, Hospitals, the Financial District, Restaurants, Fitness Centers and public transportation. 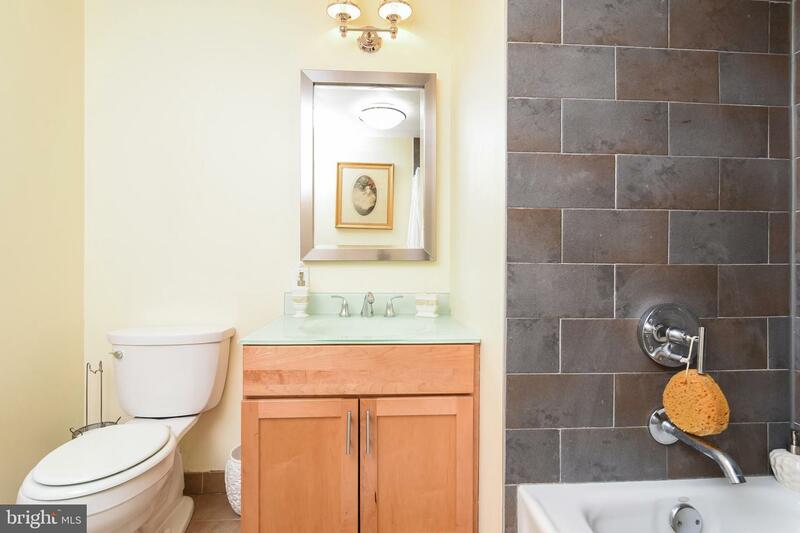 New Air Conditioner (2018). 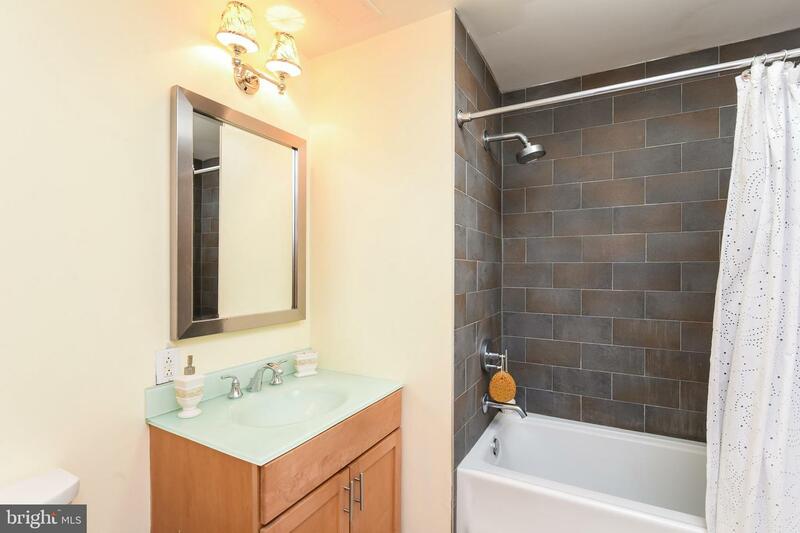 This unit comes with a huge secure storage room right across the hall.